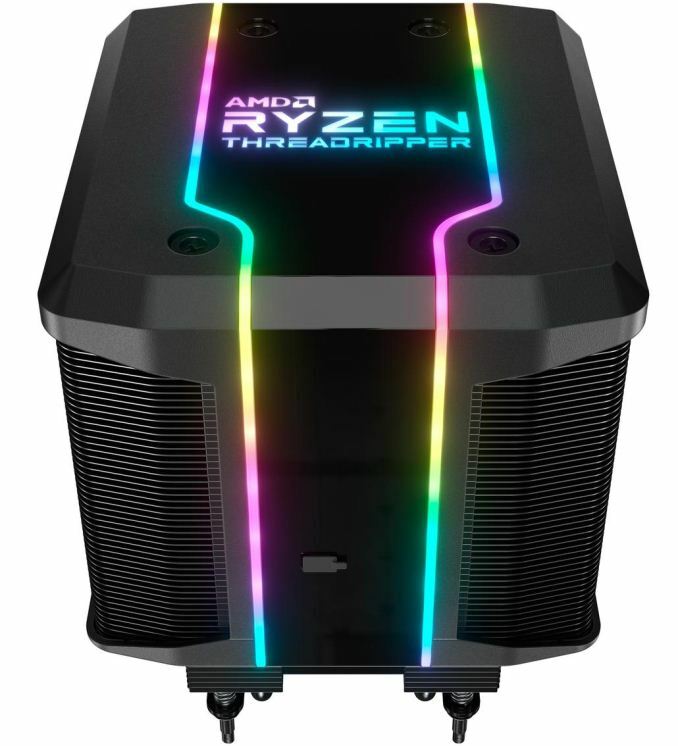 Cooler Master has announced its Wraith Ripper, the air cooler that AMD recommends for its latest Threadripper 2 processors. 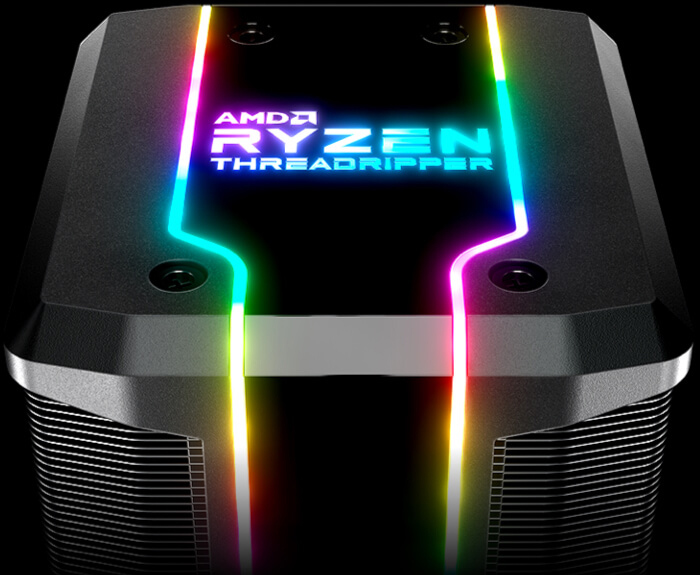 The cooler can dissipate up to 250 W of power and features programmable RGB lighting. Cooler Master’s Wraith Ripper cooling system for AMD’s Threadripper 2 processors has a dual tower heatsink featuring aluminum fins as well as seven heat pipes. The cooler is outfitted with a 120-mm MasterAir Pro Servo fan that can rotate at speeds up to 2750 RPM and create an airflow of 76.4 CFM. While the cooler is very powerful, it is also relatively compact and therefore does not cause compatibility issues with memory modules, unlike some other “mega coolers” for high-end CPUs. The manufacturer is especially proud of Wraith Ripper’s mounting system that uses four long screws accessible from the top of the cooler, which greatly simplifies installation procedure of the device. 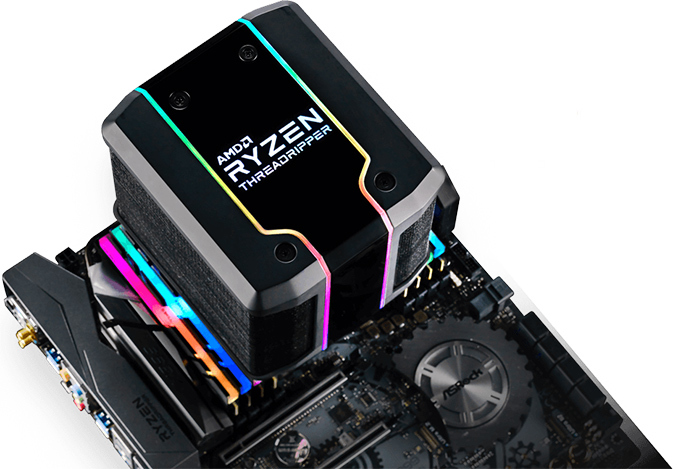 To make the Wraith Ripper stylish, Cooler Master outfitted it with dual addressable RGB LED strips as well as RGB-lit AMD Ryzen Threadripper logo. Owners can control RGB lighting using the built-in lighting control as well as Cooler Master’s app. Cooler Master’s Wraith Ripper cooler will be available in September from Amazon and Newegg for an MSRP of $119.99. To do a fair comparative, let's use the same size fan. So use the Noctua NH-U12S TR4-SP3 instead. The noctua fan has half the rotation speed of the CM Wraith ripper (1500 rpm vs 2700), so I sure it's much quieter. The CM has an airflow of 76,4 m³/h, the Noctua gets 93,4 m³/h.